Welcome to our 1-day doubles tournament. We are accepting only 8 doubles teams/per division. Depending on draw size, it will be either be a round robin or compass draw. The match format will be a 8-game Pro Set. 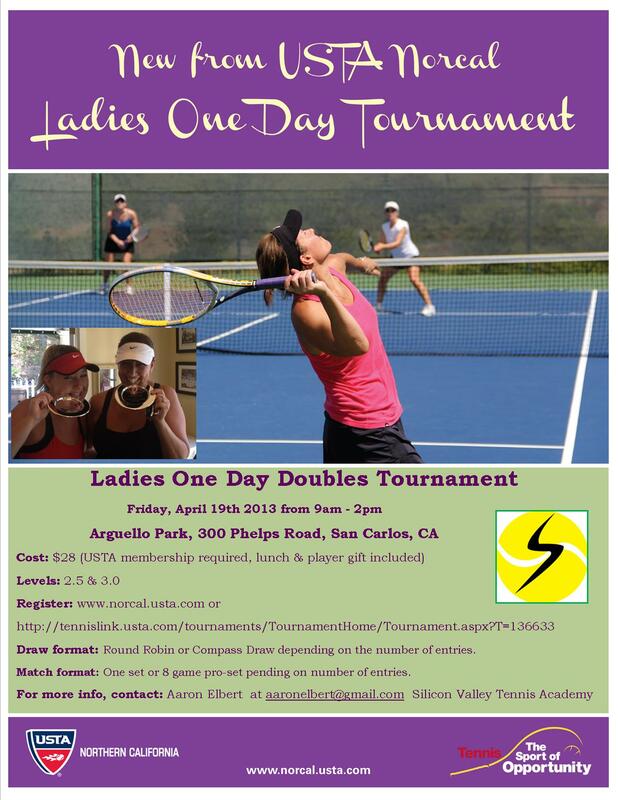 Entry to this tournament is open to all USTA members. You must have a NTRP rating to participate in this tournament. Entry fee is $28 per player. Entries must be submitted by Saturday, April 13, 2013 11:59:00 PM Pacific Time. Only USTA members can register online if available. Draws will posted here on April 16, 2013.